The lack of clothing that probationers owned post-release became a problematic pattern. The Hagerstown Field Office of Parole and Probation recognized and decided to address the issue by setting up a closet-sized storage room. They initiated a drive for donations that ranged from clothing to toiletries and had tremendous success. The drive has now transformed into what is known as the Hagerstown Cares Closet. Horizon Goodwill has been a significant partner in this collaborative effort to support recently paroled individuals. They have been providing jobs, employment readiness, and life skills training. Now, they will add providing clothing to the list services. About Horizon Goodwill: Goodwill has been rated #1 above the global brands Amazon and Google for the Brand World Value Rankings for 2016. Horizon Goodwill Industries, whose mission is “Removing Barriers, Creating Opportunities,” is a non-profit organization dedicated to ensuring that all people have access to employment despite significant obstacles. 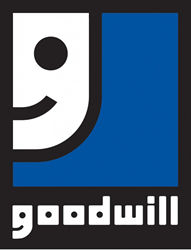 Horizon Goodwill serves over 7,000 clients annually in a 17-county region that includes parts of the states of Maryland, Pennsylvania, Virginia, and West Virginia. For more information, please visit http://www.horizongoodwill.org.